8/6. Sadly, the Angels season came to an end in Game 3 of the Park National League playoffs, as the Angels lost to Baseball 365, 7-4. It was a weird and frustrating game, as the Angels couldn't seem to get anything going. 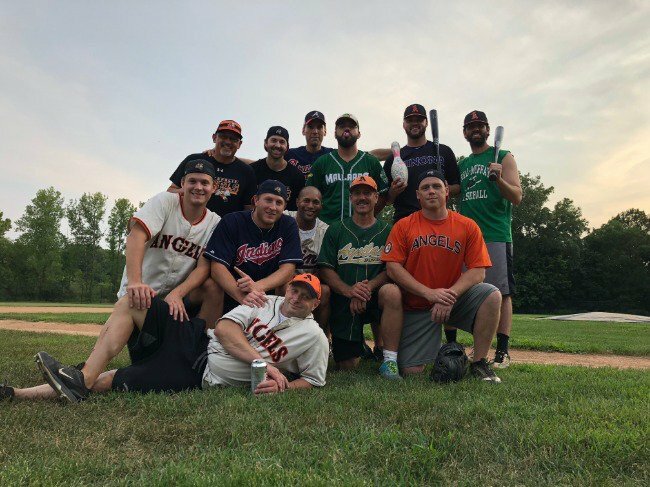 Baseball 365 kept the pressure on the Angels pitchers and defense all night and were able to score enough runs early to hold on for the victory. Congrats to 365 for earning the State Tourney berth. With that, another successful season of Angels baseball is in the books. A huge thank you to all of the Angels' family, friends and fans. We very much appreciate your support and look forward to another good season in 2019. 8/5. The Angels survived their first elimination game, beating Baseball 365, 11-4. With the teams tied 4-4 going into the 9th, the Angels scored 7 runs on 7 walks, a couple of hits and a sacrifice fly to take the game. 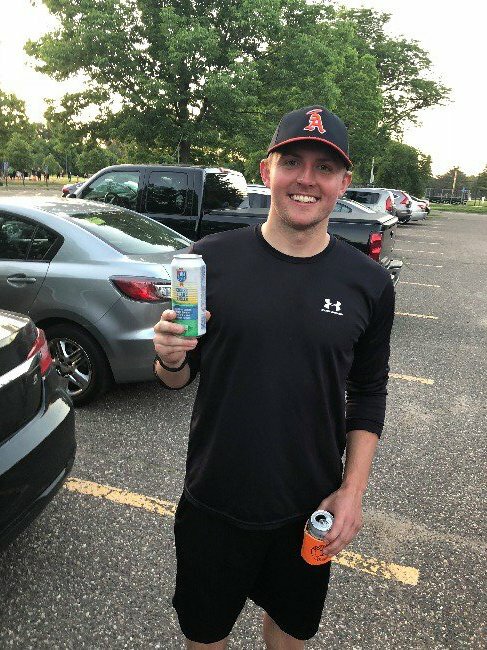 Nick Sutherland gutted it out on the mound for the Angels, tossing 8+ innings and limiting Baseball 365 to just 7 hits and 2 earned runs, all on one leg after badly pulling a hamstring in the River Falls victory earlier in the week. Offensively for the Angels, Taylor Branstad, Mike Carrell and Danny Miller had 2 hits apiece. Miller had 3 RBI and Brady Johnson drove in 2 runs. Branstad and Kevin Bergman each scored a pair of runs. Up Next: The Angels move to the decisive Game 3 on Monday, August 6 at 7:00 pm at Parade. 8/3-4. In a game that Mother Nature forced to span 2 days, the Angels dropped their Park National playoff opener, 7-6, to Baseball 365. After falling behind early, 4-0, the Angels clawed back by scoring 2 in the 4th inning and 4 in the 5th inning to take a 6-4 lead. That's when the monsoon hit, forcing the game to be suspended for the evening. On Saturday, the Angels couldn't get anything going in the resumed game, and 365 scored the final 3 runs to take the game. Up Next: The Angels are in do-or-die mode, with Game 2 on Sunday, August 5 at 6:00 pm at Parade. 8/1. 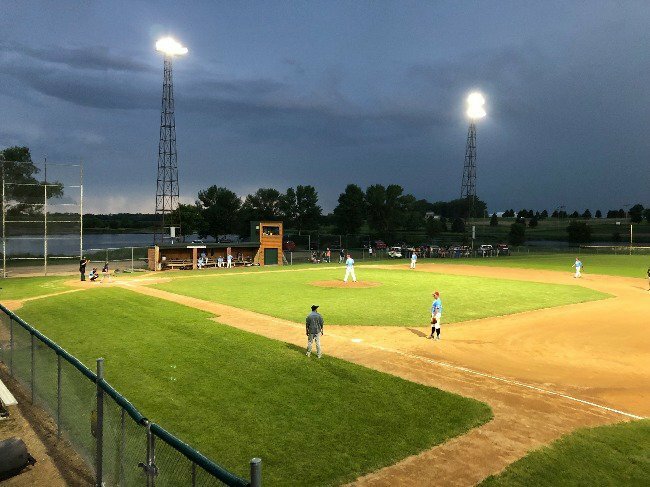 In their final regular-season game, the Angels beat the River Falls Fighting Fish, 10-0. The Angels pounded out 12 hits in 7 innings, with Connor McCallum recording a 3-hit night. Taylor Branstad, Mike Carrell and Brady Johnson had 2 hits apiece. Kipp Youngquist, Mike Nellessen and Chris Schaaf each scored 2 runs for the Angels. Danny Miller started on the mound for the Angels and was very efficient, tossing 5 innings of 2-hit ball, striking out 7. Jon Heiderscheit and Alex Beers also turned in clean innings for the Angels on the mound. Thanks to the Fish for hosting and their Leinie Lodge for the post-game beers. Up Next: The Angels play Baseball 365 in the opening game of their playoff series on Friday at 7:00 p.m. at Parade. 7/22. The Angels were humbled by the champs, losing 13-1. The Angels performed ok on offense with 9 hits in 7 innings, but their defense was downright terrible. Thanks to the Millers for another thrashing. Up Next: The Angels have an extended layoff due to a make-up related cancellation, and do not return to action for their regular season finale until Wednesday, August 1 at 7:30 p.m. at River Falls. 7/20. The Angels beat the Osceola Braves, 3-2, behind the pitching performances of Chad Naegeli and Alex Beers. Naegeli started on the mound for the Angels and tossed 7 innings of 4-hit baseball, striking out 12 and walking none. 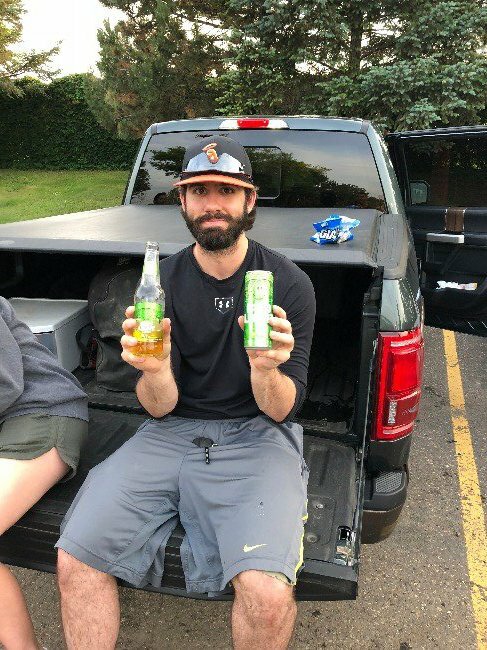 Beers slammed the door in the 9th inning, striking out 2 to preserve the 1-run lead and win. Offensively, the Angels struggled a bit, although they put up 3 runs on 8 hits to do just enough to win. In somewhat comical fashion, they left 15 men on base, including several innings that ended with the bases loaded. Oh well, a win is a win is a win. Thanks to the Braves and their fans for the hospitality, beer and brats. 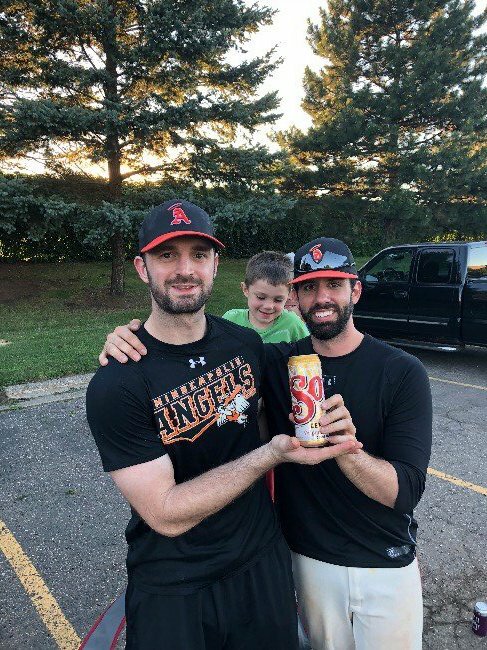 Up Next: The Angels play their next-to-last regular season game against the defending champs, the Minnetonka Millers, on Sunday, July 22 at 7:30 p.m. at Veterans. 7/18. The Angels won the bottom of the 1st inning and tied in the 4th and 6th innings. Unfortunately, all other innings were pretty toilet, and the Angels lose to the Eagan Bandits, something like 13-1. It was poop. Up Next: The Angels travel to one of their favorite parks to take on the Osceola Braves on Friday, July 20 at 7:30 p.m. The Angels close out Park National play with a 12-4 record, which assures them a top-3 seed and a bye in the first round of the league playoffs. Up Next: The Angels play the Eagan Bandits on Wednesday, July 18 at 7:00 p.m. at Goat Hill Park. 7/11. The Angels beat the Blue Sox, 6-0, behind a 4-hit shutout performance by Alex Beers. 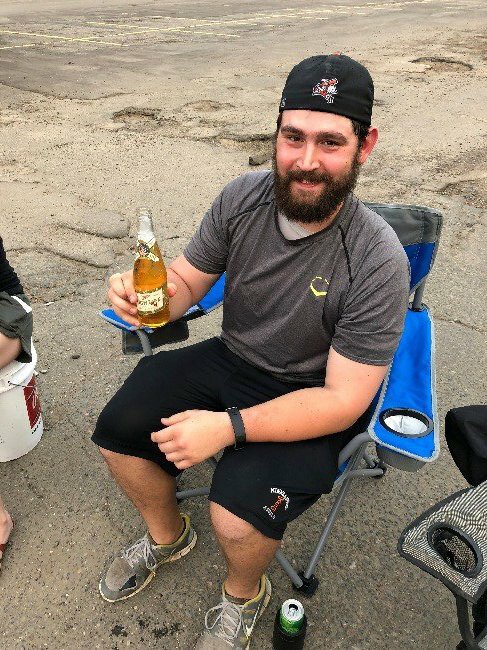 Under threat of great bodily injury if he did not pitch well, Beersey was pretty darn good all night, striking out 7 and walking just one in an efficient 84-pitch outing. The Angels offense did just enough to back him up, posting a very symmetrical 6-hit, 6-walk, 6-run performance. Kipp Youngquist, Mike Carrell and Brady Johnson each had doubles for the Angels, and Danny Miller put a dent in the ball with a long triple to right. Connor McCallum drove in 2 runs for the Angels, with Miller, Johnson and Taylor Branstad driving in the others. Up Next: The Angels are off for the rest of the week before playing their final Park National League game on Monday, July 16 at 6:15 pm at Blake. Up Next: The Angels play their penultimate Park National League game on Wednesday against the Minneapolis Blue Sox at 8:30 p.m. at Parade. 7/5. The Angels completed the season sweep of Baseball 365 with a 3-2 victory in a tight ball game. Offensively, the Angels were led by Mike Carrell and Brady Johnson with 2 hits apiece. Tyler Johnson and Carrell had big RBI singles in the 6th inning to help the Angels take the lead. Nick Sutherland recorded a hit and two walks in his three plate appearances. Matt Schuld got the start for the Angels, and he - in a word - shoved. He allowed but a lone bloop base hit in the 5th inning on his way to recording a 12-strikeout night. That's not to say the night was easy, because the 7th inning happened. With the Angels up 3-1, a walk started it, followed by a somewhat controversial hit-by-pitch, followed by another walk to load the bases. Schuld struck out the next hitter. After a wild pitch scored a run, the next hitter hit a dribbler back to Schuld, who made a nice play to get the runner at first while keeping the tying run at 3rd. After a walk to re-load the bases, the leadoff hitter hit a dribbler to the middle of the infield. 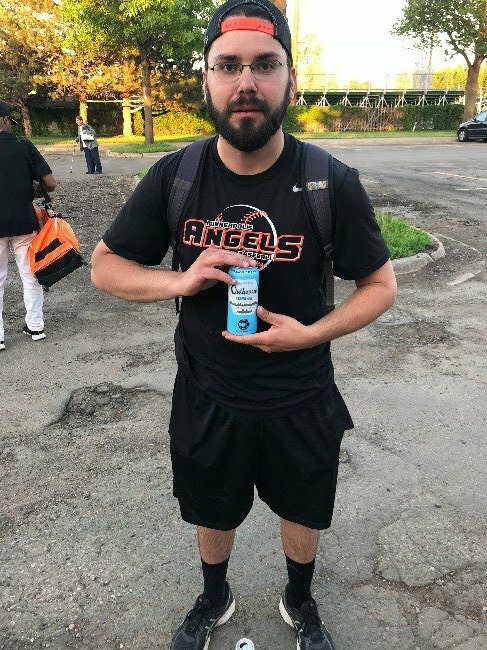 Just when it looked like the game would be extended, Connor McCallum swooped in from shortstop, bare-handed the ball and fired a bullet to first to beat the runner by a half-step and deliver victory to Angel Nation. It was pretty darn cool. Up Next: The Angels will take the weekend off, and they return to Park National action on Monday, July 9 against the River Rats at 6:15 p.m. at Parade. 7/2. The Angels lost to the Patriots, 6-5, in an odd game. A tip of the cap to the Patriots for hitting the ball around the park (although mostly down the right field line). The Angels will take a break for the 4th of July holiday and try to get back on track on July 5 against Baseball 365 at 6:15 p.m. at Parade. Up Next: The Angels return to action against the Minneapolis Patriots on Monday, July 2 at 6:15 p.m. at Parade. 6/27. The Angels lost a pitcher's duel to Lyon's Pub, 2-0. Angels' starter Matt Schuld was dealing basically all night, surrendering just 3 hits and striking out 11 while allowing just 1 earned run in 6 innings of work (78 pitches). Unfortunately, the Angels offense did pretty much nothing, mustering only 4 hits off the Warriors' pitcher, John Spanier, who needed just 77 pitches to dispatch the Angels. It was a good, quick baseball game, and a tip of the cap goes to the Pub for the season series sweep. Up Next: The Angels will try to bounce back on Friday, June 29 against the MudCats at 6:15 pm at Parade. Despite the steamy forecast, the Angels will be Seafood Boiling after. 6/26. The Angels saved their best for last, walking-off the Minneapolis Cobras, 3-2. To say that the Angels weren't able to generate much offense would be an understatement. 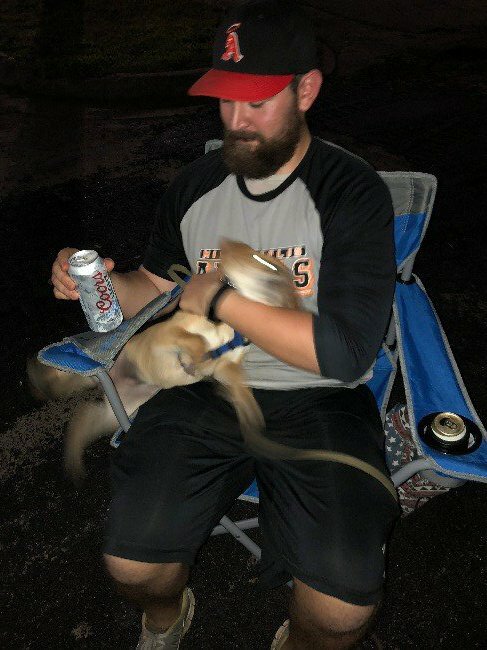 They didn't record a hit until the bottom of the 5th inning, when Kipp Youngquist beat out an infield single following a splendid diving play by the Cobras' third baseman. The Angels were in danger of wasting a great effort by starter Nick Sutherland, who held a potent Snake lineup to just six hits and 2 runs over 7 innings, when things got interesting in the bottom of the 7th. After the first two hitters were retired, Danny Miller battled with 2 strikes to coax a walk to at least breathe some life into the dormant Angels offense. Mike Nellessen pinch-hit for Kevin Bergman (Sidebar - Bergy is going to be featured on a Mike Max segment on the 6:00 WCCO News on Tuesday, June 27, so you should check it out) and followed suit with Miller, battling with 2 strikes and coaxing a walk to chase the Cobras' starter who had dominated the Angels line-up. Chris Schaaf was next to walk to load the bases and turn over the line-up to the top of the order and Taylor Branstad. Branstad promptly lined a pitch the opposite way down the left field line for a double to score Miller and Nellessen to tie the game. Youngquist followed with a single into the hole at shortstop to score the game-winning and walk-off run. Quite an ending. Up Next: The Angels are right back at it on Wednesday, June 27 against Lyon's Pub at 6:15 pm at Blake High School. 6/21. The Angels beat the Minneapolis MudCats, 3-2, in a good baseball game. The Angels opened the scoring with a run in the first on a SAC fly by Connor McCallum. They scored again in the 4th on a RBI-single by Chris Schaaf. With the teams tied 2-2 in the 7th inning, Mike Carrell (who had 2 hits and reached base 4 times) singled to start the inning and McCallum doubled in the left-center gap to plate Carrell with the eventual winning run. Up Next: The Angels have the weekend off and return to action on Tuesday, June 26 against the Minneapolis Cobras at 6:15 pm at Parade. 6/20. The Angels took one on the chin, losing to the Chaska Cubs, 14-4. It was a good game into the 7th inning, with the Angels trailing 6-4. After the dust settled from the 7th and 8th innings, however, the game was stopped by the mercy rule. Taylor Branstad had 2 hits for the Angels and Kipp Youngquist had 3, but that was pretty much it for the highlights. On the bright side, the Chaska Legion was as welcoming as ever after the game. Up Next: The Angels return to Park National play against the Minneapolis MudCats on Thursday, June 21 at 6:15 pm at Parade. 6/19. Mother Nature washes out the Angels' game against the Blue Sox. Stay tuned for a make-up date/time. 6/15-16. The Angels captured back-to-back third-place finishes in the Atwater Festival Days tournament (it is a 4-team tourney). On Friday night, the Angels played the Brookings, SD Cubs. It was toilet. Nothing more need be said. 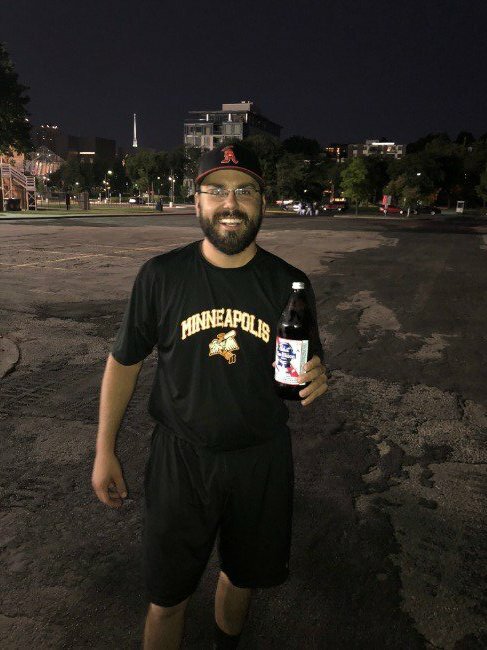 The silver lining of that loss, however, was that it set up a Saturday matchup with tourney host and friends-of-the-Angels, the Atwater Chuckers. With both teams seeking to avoid a tourney sweep, the teams played inspired ball. Mike Nellessen paced the Angels offense with 3 hits (after going to bed at 8:15 am the "night" before) and 2 RBI. Nick Sutherland also drove in a pair of runs. Taylor Branstad, Brady Johnson and Chris Shaaf also contributed a hit to the cause. Jay Asmus started on the mound for the Angels and, unburdened by a pitch count, pitched into the 7th inning. After he ran into trouble, Chad Naegeli slammed the door by recording 3 outs on 4 pitches for the save. Thanks again to the Chuckers for having us out. We had a blast again and hope to see you next year. Up Next: The Angels return to Park National play on Tuesday, June 19 against the Minneapolis Blue Sox. 6/14. The Angels lost an extra-inning battle to Lyon's Pub, 2-1, in 11 innings. Angels' pitchers Nick Sutherland and Matt Schuld were brilliant on the mound, combining to allow just 8 hits over 11 innings, while striking out 15 batters. Taylor Branstad and Connor McCallum led the Angels with 3 hits apiece and McCallum drove in the Angels' lone run. 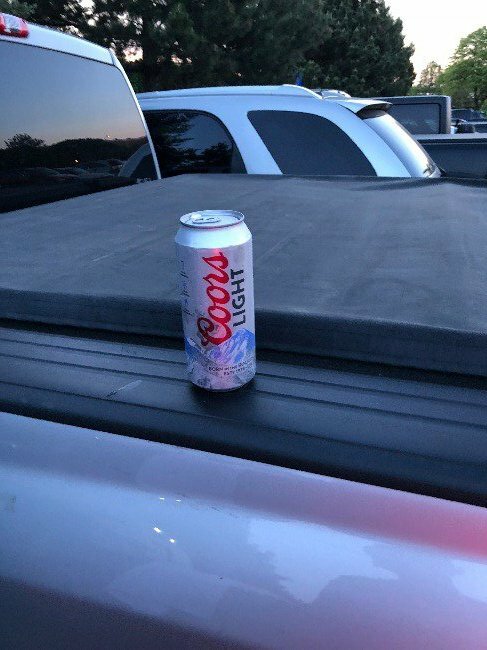 A tip of the cap to the Warriors on a good game. Up Next: The Angels travel to Atwater for the Atwater Fesival Days tourney on June 15-16. Up Next: The Angels play the Lyon's Pub Warriors on Thursday at 6:15 p.m. at Parade. 6/5. The Angels beat Baseball 365, 6-1. Mike Carrell got the Angels on the board in the 3rd inning with a big 2-run double. Connor McCallum brought Carrell home with a hit, for a 3-0 Angels lead. After surrendering a run in the bottom of the 3rd, the Angels got it going again in the 6th, scoring another 3 runs with 2 outs on RBI singles by Tyler Johnson and Taylor Branstad. 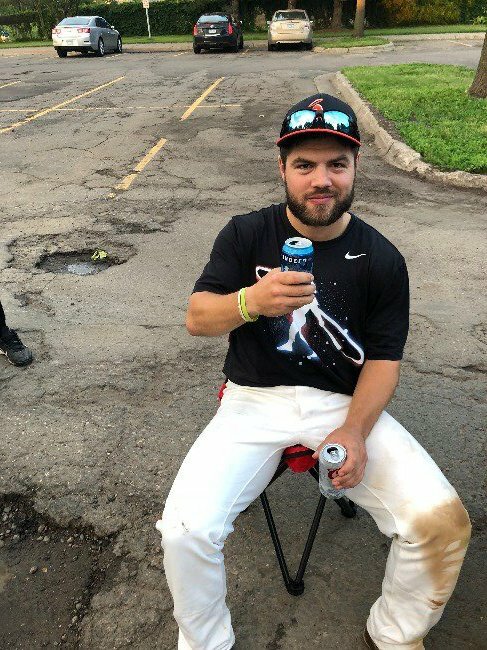 Up Next: The Angels have the rest of the week off due to a scheduling quirk, but they return to action on Tuesday, June 12 against the Metro Merchants at 6:15 pm at Parade. 6/1. The Angels traveled to beautiful Cold Spring with their customary Iron 10 to take their annual pounding at the hands of the Springers. The results this year looked to be a bit better than in previous years. The Angels kept it close through 5-1/2 innings, trailing just 5-2. The wheels fell off in the 6th and 7th innings, though, and the Angels were 10-runned again. Alex Beers pitched very well in defeat. Chris Schaaf (2), Nick Sutherland and Brady Johnson accounted for the Angels' 4 hits on the night. On the bright side, the Side Bar was once again hopping - man, I love that place. Up Next: The Angels return to Park National League play against Baseball 365 on Tuesday, June 5 at 6:15 p.m. at Parade. 5/31. The Angels closed out the month of May by defeating the Minneapolis Patriots, 7-2. The Angels made the most of their 5 hits by using 8 walks to score 7 runs against a tough Patriot pitcher. Mike Carrell had two hits and drove in two runs for the Angels. Chris Schaaf scored twice from the lead-off spot. Brady Johnson, Nick Sutherland and Kevin Bergman also drove in runs for the Angels. Danny Miller hit a moonshot homerun in the 2nd inning for his first Angel tater. Chad Naegeli started on the mound for the Angels, and pitched effectively into the 5th. Matt Schuld made his first appearance in 2018 and wiggled out of a jam in the 5th inning before cruising through the 6th and 7th innings to record the save. Up Next: The Angels travel to Cold Spring to take on the powerful Springers at 7:30 p.m.
5/29. The Angels and Lyon's Pub were rained out. The game will be made-up on Wednesday, June 27 at a field TBD. 5/26. Chad Naegeli, Nick Sutherland and Mike Carrell represented Angel Nation well at the 2018 Townball Classic. Naegeli and Sutherland each tossed scoreless innings on the mound and Carrell had a single in two trips to the plate. It was a great day of baseball at Target Field, even though the Westside All-Stars dropped the game to the Eastside All-Stars, 3-1. Thanks to the Minnesota Twins, ESPN 1500 and Chris Reuvers for putting together another great event. Up Next: The Angels return to Park National League action on Tuesday, May 29 against Lyon's Pub at 6:15 p.m. at The NEAF. Up Next: Due to a scheduling quirk, the Angels are now off until next Tuesday, May 29, when they play Lyon's Pub at 6:15 pm.m at NEAF. 5/19. The Angels beat the Atwater Chuckers, 7-4, on a rather blustery mid-May evening at Parade Stadium. The Angels jumped out to a quick 4-0 lead in the first two innings before Chucker veteran and friend-of-the-Angels Ryan Walsh settled in a began posting zeroes on the scoreboard. In the top of the 4th inning, the Chuckers took advantage of untimely 2-out error to plate 4 runs in the inning. 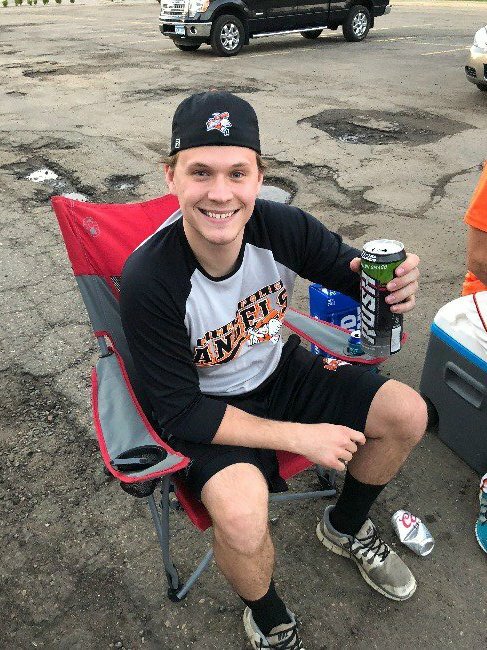 The teams traded zeroes until the 8th inning, when the Angels re-took the lead by scoring 3 runs on an RBI sac fly by Nick Sutherland, an RBI single by Mike McCallion and an RBI double by Danny Miller. Alex Beers started on the mound for the Angels and deserved a better fate than his no decision, striking out 7 and allowing just 3 hits in 5 innings of work. Jay Asmus vultured the win with 3 innings of work out of the bullpen, allowing just one hit and striking out 4. Jon Heiderscheit made his Angels debut and recorded the save. Offensively, the Angels pounded out 14 hits, led by Chris Schaaf and Mike Carrell with 3 hits apiece. Brady Johnson, McCallion and Heiderscheit had 2 hits apiece and Miller and Mike Nellessen each tallied a hit and a run scored. All in all, despite the weather, it was a good baseball game. Thanks to the Chuckers for coming to the Twin Cities to play and we look forward to the Atwater Days tourney in about a month. Up Next: The Angels return to Park National League play against the Minneapolis Cobras on Tuesday, May 22 at 6:15 p.m. at Parade. 5/17. The Angels beat the River Rats, 7-0, to move to 2-0 in the Park National League. Nick Sutherland was the story. 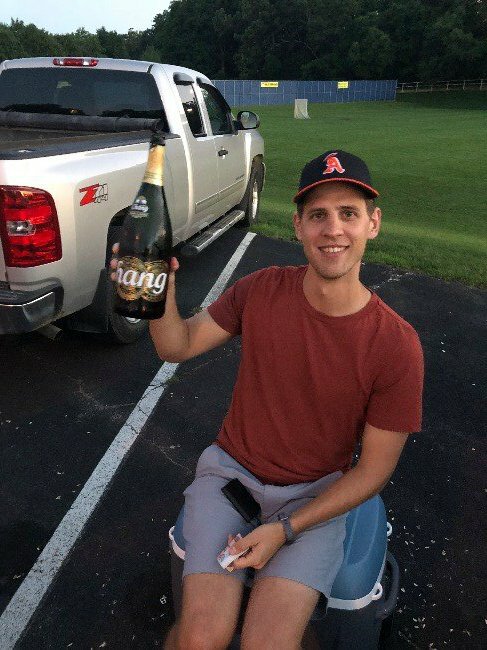 Whether he was buoyed by the knowledge that he would be allowed to hit for himself or he was just pumped for his first outing of the season, he basically pumped gas all night. He threw a complete-game, 2-hit shutout with 11 strikeouts. He also went 2-4 with 3RBI at the plate, so he had a pretty good night. He was helped on the offensive side by Connor McCallum, who went a ho-hum 4-4 and scored 3 runs, and Brady Johnson, who had 2 hits and 2 RBI. Chris Schaaf, Mike Carrell and Tyler Johnson also tallied a knock, and Carrell scored twice. Up Next: The Angels are excited to host their good friends, the Atwater Chuckers, on Saturday, May 19 at 5:00 p.m. at Parade. 5/15. The Angels opened the 2018 Park National schedule with a 5-2 win over the Metro Merchants. Chad Naegeli started on the mound for the Angels and pitched into the 5th inning, striking out 7 while allowing just 4 hits. Danny Miller relieved Nags in the 5th and pumped gas to close out the game, striking out 5 in 2-1/3 innings. Up Next: The Angels play the River Rats on Thursday, May 17 at 6:15 pm at Parade. 5/11. For the second time this week, Mother Nature screws the Angels. Tonight's game against Dundas has been canceled. Up Next: The Angels open 2018 Park National League play on Tuesday, May 15 against the Metro Merchants at 6:15 p.m. at Parade. 5/8. Mother Nature strikes for the first time in 2018. The Angels/Capitals game was washed out. Stay tuned for a potential make-up game, either early or late in the season. Up Next: If Mother Nature cooperates, the Angels travel to Dundas on Friday, May 11 to play the Dukes at 7:30 p.m.
5/4. Well, the Angels' 2018 season opened a bit melodramatically. 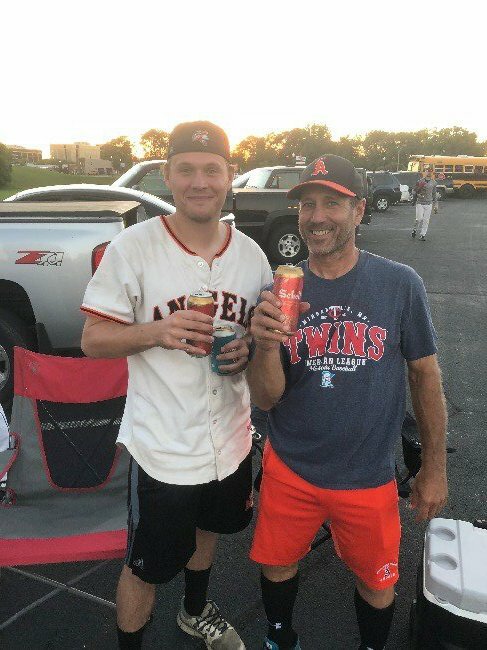 On a perfect night for baseball, the Angels were downed by the buzzsaw that is the St. Louis Park town team. This just in - they can hit. That, coupled with the first outing of the season for the Angels pitchers and defenders, was all it took to create an ugly scoreboard. On the bright side, Taylor Branstad had 2 hits in his Angels debut and Danny Miller twirled 2 nice innings in his first work for the Angels. Nick Sutherland forgot that 180 feet from home to second base is a long, long way sometimes - the belly-flop slide into second base was nice, though. 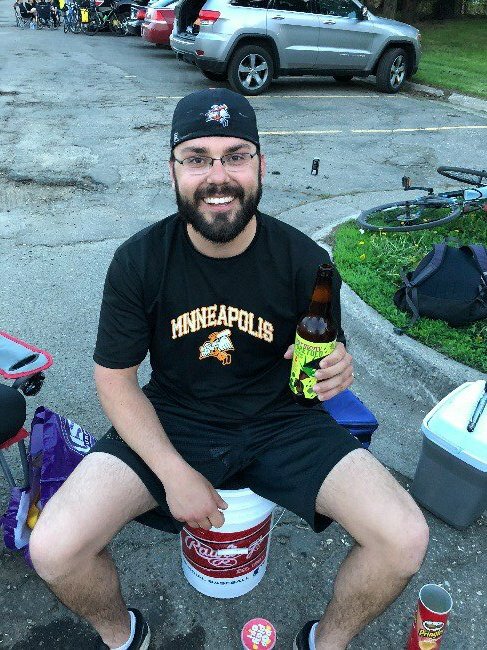 Up Next: Things don't get any easier for the Angels, as their next game is against the St. Paul Capitals on Tuesday, May 8 at 8:00 p.m. at Dunning. Taylor Branstad is sweet-swinging lefty outfielder. 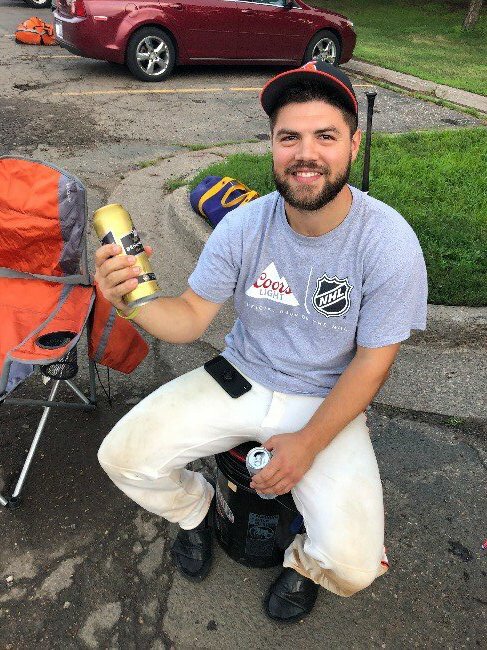 He played his college ball at Minnesota State-Mankato and, though he apparently prefers Blue Moon to Coors Light, the Angels nonetheless welcome him into the fold (and promise to convert him to the beauty that is Rocky Mountain Refreshment). Danny Miller is a sweet-throwing lefty pitcher (and outfielder). 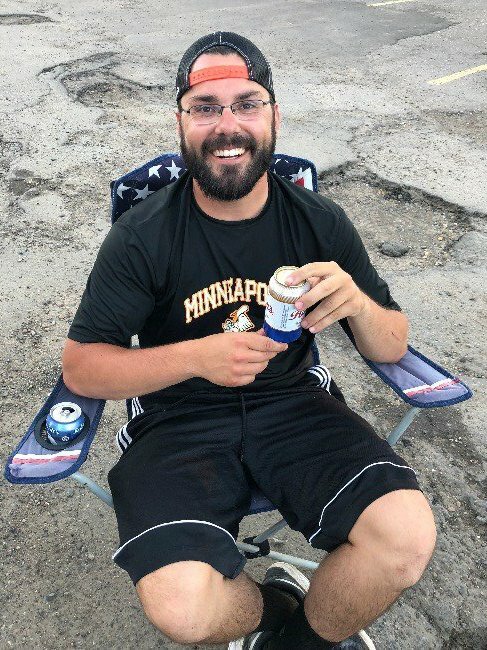 Danny is a Minnesota State-Mankato product and has some past P-Nash experience with the Lakers. If he follows suit with the other former Laker on the Angels roster, Matt Schuld, everything should be just fine. Jon Heiderscheit is a sweet-submarining pitcher and infielder. At the risk of sounding like a broken record, he played at Minnesota State-Mankato as well. Jack Feyereisn is a cherubic-looking pitcher/infielder. He is currently a freshman at St. Thomas, which makes Bergy happy (and a bit older). The Angels are excited to have these new teammates in the fold for 2018. Again, May the Fourth Be With You for the Opener. It is a happy day indeed. 4/26. The 2018 Opener is just 8 days away. NOTE - there has been a time and field change. The opener against St. Louis Park will be on Friday, May 4 at 7:30 p.m. at Big Willow Park. 1/15. The 2018 Schedule for the Angels has been posted. Check it out and mark your calendars. 109 days until Opening Day! 1/3. Happy New Year, Angel Nation. The scheduling for the 2018 Angels season has begun. A schedule update will be posted soon. In the meantime, stay warm. ©2019 Park National League / SportsEngine. All Rights Reserved.